DJW® B0D02 - Compatible models dell inspiron 11-3135 13-1318 14-1420 14-1440 14-1464 14-3451 14-5447 14-5448 14-n4030 14r-5437 14r-n4010 14r-n4110 15-1501 15-1520 15-1521 15-1525 15-1545 15-1564 15-3520 15-3521 15-3531 15-3537 15-3541 15-3542 15-3543 15-5545 15-5547 15-5548 15-7537 15-7547 15-7548 15-m5010 15-m5030 15-n5030 15-n5040 15-n5050 15r-5520 15r-5521 15r-5537 15r-n5010 15r-n5110 17-1720 17-1721 17-1750 17-1764 17-3721 17-5748 17r-5720 17r-5721 17r-n7010 17r-n7110 17r-se-7720 m531r m531r-5535 m731r: i15rv-1333blk i15rv-1952blk i15rv-477blk i15rv-953blk i15rvt-6143blk i15rvt-6195blk i3451-1001blk i3531-1200bk i3541-2000blk i3541-2001blk i3541-2002blk i3541-5001blk i3542-11001bk i3542-3267bk i3542-3333bk i3542-5000bk i3542-6003bk i3543-000blk i3543-2000blk i3543-3251blk i5447-6250slv i5535-2684slv i5545-1250slv i5545-2501slv i5547-7500slv i5748-5000slv i7537t-1122slv i7537t-2786slv i7547-3020slv i7547-4020slv i7548-2129slv i7548-4271slv i7548-7858slv dell inspiron 1150 1546 6000 6400 8500 8600 9300 9400 600m 640m 700m e1405 e1505 e1705 dell studio xps 15z 15 16 17 1535 1537 1555 1558 1569 l501x 1640 1737 1749 m1210 m140 m1530 m1710 dell precision m4400 m4500 m4600 m4700 m6300 m6600 m6700 dell latitude e4200 e4300 e4310 e5400 e5410 e5420 e5430 e5440 e5450 e5500 e5510 e5520 e5530 e5540 e5550 e6220 e6230 e6320 e6330 e6400 e6410 e6420 e6430 e6430s e6430u e6440 e6500 e6510 e6520 e6530 e6540 e7240 e7250 e7440 e7450 dell latitude 2110 2120 3330 3440 3540 2100 3340 6430u d410 d420 d430 d500 d505 d510 d520 d530 d531 d600 d610 d620 d630 d800 d810 d820 d830 dell latitude tablet pc xt2 xt3 p/n: pa-12 la65ns2-01 hh44h da65ns4-00 pa-1900-02d ha65ns5-00 332-1833 la90ps0-00 da90pe1-00 FA90PE1-00 330-4113 928G4 / CPA-928G4 DA65NS3-00 LA65NS1-00 LA90PM111 0V0KR 331-5968 PA-1650-05D PA-1650-05D2 Output: 19. 5v ~ 4. 62a ~ 90wnote:please check!the item only fit 19. 5v 3. 34a 65w;19. 5v 4. TAUPO DL61535Z001 - Compatible part numbers: a2990667 wu946 wu960 wu965 mt276 mt264 km905 pw773 km904 km887 km958 312-0702 312-0701. Ce-/fcc-/rohs-certified for safety, 12 months hassle-free warranty. 100% new from manufacturer. Rechargeable Up to 500 times over life of battery. Grade a cells ensure fast charges and low power consumption; Built-in circuit protection ensures both safety and stability. Compatible part numbers a2990667 wu946 wu960 wu965 mt276 mt264 km905 pw773 km904 km887 km958 312-0701 compatible laptop models dell studio 1535 1536 1537 1555 1557 1558 pp33l pp39l notice: please use "ctrl"+"f" to find your laptop model/part number printed on your laptop bottom or original battery Buy with confidence! 12 Months Warranty Ship next business day 24 x 7 E-mail customer service support! Battery type: li-ion; 6-cell; capacity: 4400mAh/49Wh; Voltage: 11. MiSiMiSiTe OMC1535-GX-6C - Actual operation time varies depending on types of the device and the way it is used. Grade a cells ensure fast charges and low power consumption; Built-in circuit protection ensures both safety and stability. Compatible part number: 312-0701 / mt264 / km958 / mt276 / km905 / pw773 / km904 / 312-0702 / a2990667 / wu946 / wu960 / MT264 / km965 / WU965. Compatible models: dell studio 1535 / 1555 / 1558 / 1537 / 1536 / pp33l / 1557 / PP39L.12-months hassle-free warranty service. Ctrl + f to search the model 312-0701 / km904 / 1558 / 1537 / wu946 / a2990667 / wu960 / mt264 / mt276 / km965 / pw773 / 1555 / 312-0702 / km905 / 1557 / mt264 / wu965 compatible models dell studio 1535 / km958 / pp33l / 1536 / pp39l buy with confidence 100% New from Pro-Manufacturer High Quality More Professional 12-Month Warranty 24 x 7 Email Support Battery type: li-ion; voltage: 11. DJW 90W 19.5V 4.62A AC Adapter Laptop Charger For Dell XPS M1530 L501X;Precision M4600 M4500 M6600 M4700 M6700 M6700;studio 1555 1558 1737 1537 1535;vostro 3560 3500 1510 1500 - 1v; cells: 6-cell; operation time: 1. 5 - 3 hours. Part numbers of compatible batteries and Computers are listed as following. Please check if this battery is compatible with your computer before purchasing. Omcreate® product Parameter Voltage: 11. 1v cells: 6-cell Operation Time: 1. 5 - 3h certification: ce fcc rohs color:black compatible part Numbers To ensure compatibility, please cross check if the part number located at the back of your original battery is listed in the Fits Parts Number list. 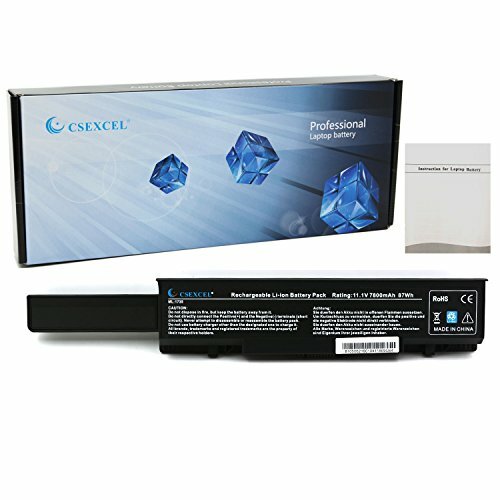 CSEDirect CSENBDL1735H - 24 months hassle-free warranty service. We provide best prices possible on the highest quality products and the most popular brands. Part numbers of compatible batteries and Computers are listed as following. Up to 500 recharge cycles over the life of the battery. Compatible part number: 312-0711 / 312-0712 / rm791 / km978 / rm870 / km973 / mt335 / pw824 / 312-0708 / pw835 / pw823 / km974 / RM868 / MT342. 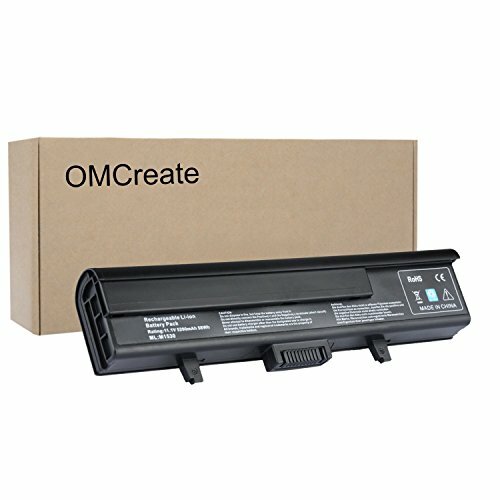 Compatible models: dell studio 17 1735 1736 1737 PP31L. Please check if this battery is compatible with your computer before purchasing. We are delight to provide customer high quality /reliable / factory direct price batteries here! • Battery type: Li-ion • Capacity: 7800mAh/87Wh • Voltage: 11. 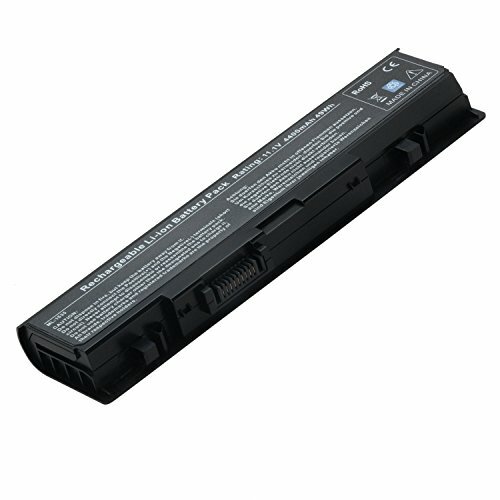 1v • cells: 9-cell • certification: ce fcc rosh • color:black compatible models : • dell studio 17 series • dell studio 1735 series • Dell Studio 1737 Series • Dell Studio PP31L Series To ensure compatibility, please cross check if the part number located at the back of your original battery is listed in the Fits Parts Number list. DJW 90W 19.5V 4.62A AC Adapter Laptop Charger For Dell XPS M1530 L501X;Precision M4600 M4500 M6600 M4700 M6700 M6700;studio 1555 1558 1737 1537 1535;vostro 3560 3500 1510 1500 - Ctrl + f to search the mode compatible part numbers : • km973 • km974 • km978 • mt335 • mt342 • pw823 • pw824 • pw835 • rm791 • rm868 • rm870 • 312-0711 • 312-0712 • 312-0708 buy with confidence! • 12-month warranty • Ship next business day • 24 x 7 Email Support" Battery type: li-ion; capacity: 7800mah/87WH; Cells: 9-cell; Voltage: 11. 1v. 100% new from manufacturer. About csexcel® csexcel® offers lithium-ion / lithium Polymer battery packs including, Laptop Batteries, Power banks, Power Tools and more. MiSiMiSiTe - Please check if this battery is compatible with your computer before purchasing. Part numbers of compatible batteries and Computers are listed as following. 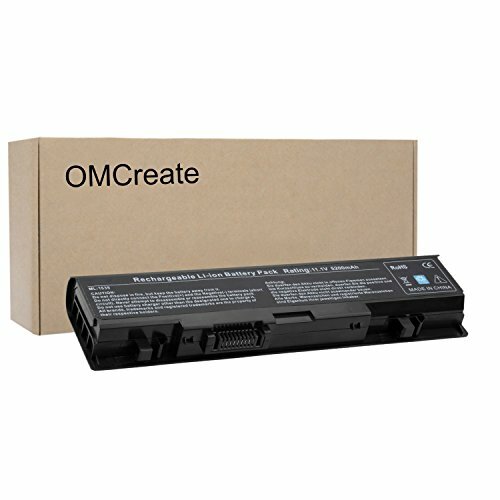 Omcreate® laptop BatteryVoltage: 11. 1v cells: 6-cell certification: ce fcc rohs color: black compatible Part Numbers To ensure compatibility, please cross check if the part number located at the back of your original battery is listed in the Fits Parts Number list. Ctrl + f to search the model 312-0622 / 312-0639 / xt828 / ru028 / rn897 / ru033 / 312-0664 / 312-0663 / 312-0660 / 451-10529gp975 / xt832 / ru006 / ru030 / 451-10528 / 312-0665 / tk330 compatible models dell xps m1530 dell xps 1530 buy with confidence! 100% New from Pro-Manufacturer High Quality More Professional 12-Month Warranty 24 x 7 Email Support Battery type: li-ion; voltage: 11. DJW 90W 19.5V 4.62A AC Adapter Laptop Charger For Dell XPS M1530 L501X;Precision M4600 M4500 M6600 M4700 M6700 M6700;studio 1555 1558 1737 1537 1535;vostro 3560 3500 1510 1500 - 1v; cells: 6-cell. Grade a cells ensure fast charges and low power consumption; Built-in circuit protection ensures both safety and stability. Compatible part number: 312-0622 / 312-0663 / xt828 / 312-0664 / 312-0639 / rn897 / ru033 / xt832 / ru028 / ru006 / 312-0665 / gp975 / 312-0660 / 451-10528 / ru030 / 451-10529 / TK330. Compatible models: dell xps m1530 / Dell XPS 153012 months hassle-free warranty service. We provide best prices possible on the highest quality products and the most popular brands. SLE-TECH® - Compatible with these original part numbers: 08pgng, xps 14 l401x, xps 15-l501x, xps 17 l701x, xps l401x, jwphf, xps l501x, 8pgng, 0r4cn5, 0j70w7, aha63226277, p09e, aha63226270, aha63226268, 0jwphf, p11f, xps 15, 999t2128f, j70w7, xps 15 l501x, whxy3 fits machine models: xps 14, xps l702x, 453-10186, p09e002, 991t2021f, p12g001, 3121123, xps 17, p12g, xps l701x, p11f001, xps 17-l701x, aha63226267, xps l502x, p09e001, r4cn5, 312-1127, aha63226276, xps 17 L702X, XPS 15-L502X, XPS 17-L702X Li-ion capacity: 11. 1v 90 whir battery Type: 9 - Cells. 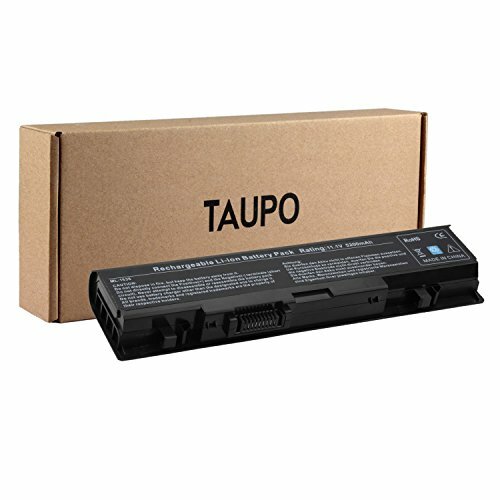 Lithium-ion battery for dell xps 14 l401x 15 l501x/ 15 l502x/ 17 l701x/ l702x wHXY3, 312-1127, R795X. Grade a cells ensure fast charges and low power consumption; Built-in circuit protection ensures both safety and stability. Ce-/fcc-/rohs-certified for safety. 24 x 7 email support, 12 months warranty, 30 Days Money Back Guarantee! Buy with confidence! Easy&Fine Dell Charger Replacment for Dell DA130PE1-00 XPS15 XPS L702X XPS L502X XPS M1710 Inspiron 15R n5110 17R n7110 Latitude E6540 PA-4E DA130PM130 LA130PM121 FA130PE1-00, 1 Year Warranty! Cloudwind 7.7A 150W Slim Replacement Ac Adapter Charger-Battery Power Supply for Dell Laptop Alienware M15x / Alienware M14x Vostro 360 XPS 15 XPS 17 XPS M2010 Laptop Battery-Power-Supply Cord. Easy&Fine Dell XPS 15 L502X XPS17 L701X M1710 Alienware M11X 330-1829 330-1830 LA130PM121 DA130PE1-00 Replacement AC Adapter Charger, 1 Year Warranty! CSEDirect CSENBDL1530 - We are delight to provide customer high quality /reliable / factory direct price batteries here! Compatible Models : Replacement for Dell XPS: • M1530 To ensure compatibility, please cross check if the part number located at the back of your original battery is listed in the Fits Parts Number list. Ctrl + f to search the mode compatible part numbers: •312-0660 •312-0662 •312-0663 •451-10528 •ru030 •tk330 •xt828 •xt832 buy with confidence! •12-month Warranty •Ship next business day •24 x 7 Email Support Battery type: li-ion; capacity: 7800mah/76WH; Cells: 9-cell; Voltage: 11. DJW 90W 19.5V 4.62A AC Adapter Laptop Charger For Dell XPS M1530 L501X;Precision M4600 M4500 M6600 M4700 M6700 M6700;studio 1555 1558 1737 1537 1535;vostro 3560 3500 1510 1500 - 1v. 100% new from manufacturer. 24 x 7 email support, 12-month hassle-free warranty. Grade a cells ensure fast charges and low power consumption; Built-in circuit protection ensures both safety and stability. Operation time: the actual operation time will depend on how much electricity is required by the device and how you use it. Up to 500 recharge cycles over the life of the battery. Ce-/fcc-/rohs-certified for safety. About csexcel csexcel offers lithium-ion / lithium Polymer battery packs including, Power banks, Laptop Batteries, Power Tools and more. MiSiMiSiTe - Please check if this battery is compatible with your computer before purchasing. 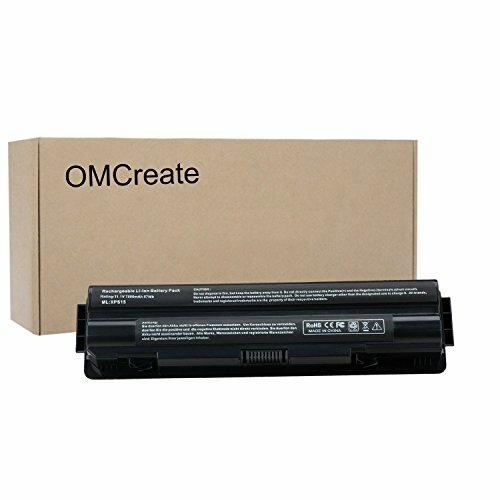 Omcreate laptop battery battery type: li-ion cells: 9-cell certification: ce fCC RoHS Color: Black Compatible Part Numbers To ensure compatibility, please cross check if the part number located at the back of your original battery is listed in the Fits Parts Number list. Part numbers of compatible batteries and Computers are listed as following. Ctrl + f to search the model 312-1123 312-1127 j70w7 jwphf r795x whxy3 compatible models dell xps 14 series dell xps 15 series dell xps 17/17 3d series dell xps14d series dell xps15d series dell xps17d series dell xps l401x series dell xps l402x series dell xps l501x series dell xps l502x series dell xps l701x series DELL XPS L701x 3D Series DELL XPS L702x Series Buy with Confidence! 100% New from Pro-Manufacturer High Quality More Professional 12-Month Warranty 24 x 7 Email Support Battery type: li-ion; Cells: 9-Cell. DJW 90W 19.5V 4.62A AC Adapter Laptop Charger For Dell XPS M1530 L501X;Precision M4600 M4500 M6600 M4700 M6700 M6700;studio 1555 1558 1737 1537 1535;vostro 3560 3500 1510 1500 - Compatible part numbers: 312-1123 / 312-1127 / j70w7 / r795x / jwphf / WHXY3. Compatible models: dell xps 14 / 15 / 15d / l501x / l701x / l502x / 17d / 17 / 14d / l401x / L701X 3D. Grade a cells ensure fast charges and low power consumption; Built-in circuit protection ensures both safety and stability. 12 months hassle-free warranty service. We provide best prices possible on the highest quality products and the most popular brands. TAUPO DL61535Z00A - Compatible part numbers 312-0701 / 1537 / 1558 / mt264 / mt276 / 1536 / km904 / 1555 / km905 / 312-0702 / wu946 / a2990667 / mt264 / 1557 / km958 / km965 / pw773 / wu965 compatible models dell studio 1535 / wu960 / pp33l / pp39l buy with confidence! 12 Months Warranty Ship next business day 24 x 7 E-mail customer service support! Battery type: li-ion; capacity: 5200mAh/58Wh; Cells: 6-cell; Voltage: 11. 1v. Grade a cells ensure fast charges and low power consumption; Built-in circuit protection ensures both safety and stability. Compatible part number: 312-0701 / wu960 / wu946 / a2990667 / mt276 / km904 / mt264 / km905 / 312-0702 / mt264 / KM958 / pw773 / km965 / WU965. 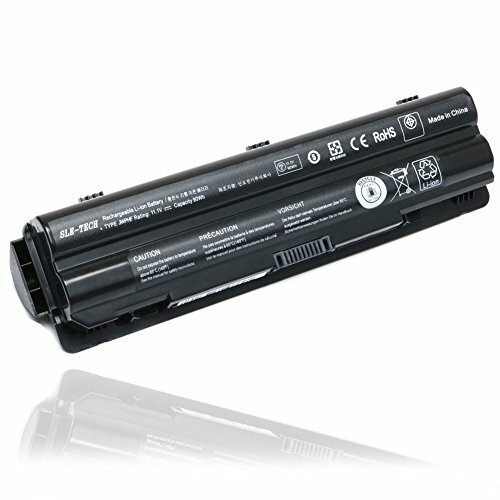 Compatible models: dell studio 1535 / 1555 / 1557 / 1537 / pp33l / 1536 / 1558 / PP39L. DJW 90W 19.5V 4.62A AC Adapter Laptop Charger For Dell XPS M1530 L501X;Precision M4600 M4500 M6600 M4700 M6700 M6700;studio 1555 1558 1737 1537 1535;vostro 3560 3500 1510 1500 - 12-months hassle-free warranty service, buy with confidence. MiSiMiSiTe - Please check if this battery is compatible with your computer before purchasing. Compatible part numbers: 312-1123 / j70w7 / 453-10186 / jwphf / 312-1127 / r795x / WHXY3. Compatible models: dell xps 14 / 15d / l701x / 14d / 15 / 17d / l502x / l501x / l401x / 17 / L701X 3D. Grade a cells ensure fast charges and low power consumption; Built-in circuit protection ensures both safety and stability. 12 months hassle-free warranty service. We provide best prices possible on the highest quality products and the most popular brands. 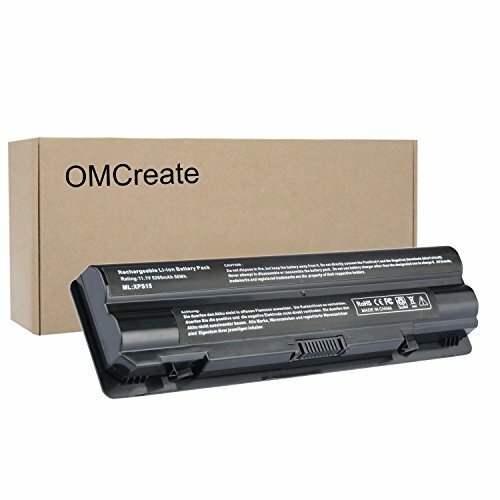 Omcreate® laptop battery capacity: 5200mAh/58Wh Voltage: 11. 1v cells: 6-cell certification: ce fcc rohs color: black compatible Part Numbers To ensure compatibility, please cross check if the part number located at the back of your original battery is listed in the Fits Parts Number list. DJW 90W 19.5V 4.62A AC Adapter Laptop Charger For Dell XPS M1530 L501X;Precision M4600 M4500 M6600 M4700 M6700 M6700;studio 1555 1558 1737 1537 1535;vostro 3560 3500 1510 1500 - Part numbers of compatible batteries and Computers are listed as following. Ctrl + f to search the model 312-1123 / 14d / l501x / j70w7 / 15 / 453-10186 / 17 / whxy3 compatible models dell xps 14 / jwphf / l502x / l701x / r795x / 17d / 15d / l401x / 312-1127 / l701x 3d buy with confidence! 100% new from pro-manufacturer High Quality More Professional 12-Month Warranty 24 x 7 Email Support Battery type: li-ion; capacity:5200mah/58Wh; Voltage: 11. Fancy Buying® - With a 5200 mah capacity this battery lets you work seamlessly when you are on business trips and vacations. 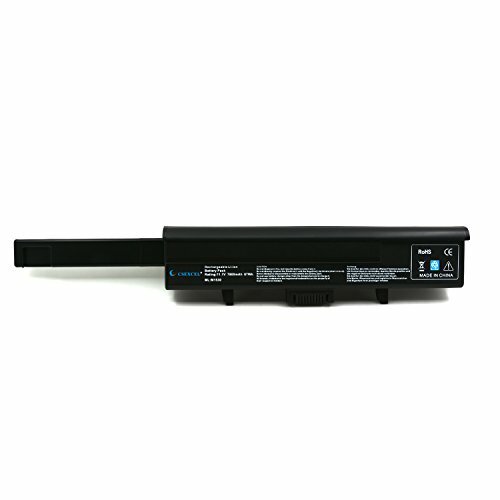 Replacement laptop battery for Dell Studio 1735, Studio 1736, Studio 1737 serials. Replacement for the below dell laptop part no. Km973, mt335, km978, km974, km976, mt342. Pw823, rm870, 312-0712, pw824, pw835, 312-0711, rm791, rm868, 312-0708. Compatible dell laptop model number: Studio 17 Series: 1735 1736 1737. This product has been tested to ensure it will work with your computer. Battery type: 6 cells li-ion capacity: 11. 1v 5200mah color: Black. 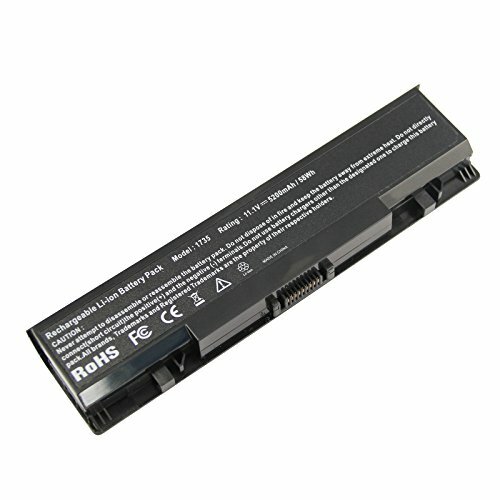 Lithium-ion batteries are longer lived than conventional laptop batteries and do not require replacement as often.